Jewellery is often something that you never consider buying for yourself, and wait to expand your collection on special birthdays or after big achievements. But when you think about it, these are the items that you wear the most consistently. So treating yourself to a new pair of perfect hoops or stacking rings is perhaps a more sensible purchase than 10 or so throwaway trend items you'll wear for one season, as opposed to 10 years. If you're looking to expand your collection, there are a number of exciting new demi-fine jewellery labels that are a special treat, but they're more accessible than you may think. Scroll below to let us introduce you to the eight emerging jewellery brands we are most excited about right now. Catbird is a Brooklyn-based jewellery brand that has recently exploded in popularity, thanks to being stocked on Net-a-Porter and often worn by Emma Watson. It creates delicate jewellery made for stacking, such as fine, simple gold bands and stud earrings. London-based Tada and Toy is another favourite brand of Emma Watson's, and it is the one for you if you're not looking to spend over £100. The brand is beloved for its star hoops and cuffs that have been worn by Poppy Delevingne. I+I is another affordable new addition to Net-a-Porter that is made for those who love to have rows and rows of hoops in their ears. The pineapple hoop earrings and rings are a fun payday pick-me-up, while the diamond rings and necklaces are the perfect gifts for a big milestone. If you've been anywhere near Who What Wear UK recently, you'll know that this summer's biggest accessory trend is supersize earrings. One of our favourite designers for street style–worthy earrings is L.A.-based Annie Costello Brown. Tamu McPherson and Leandra Medine are both fans of the more-is-more jewellery. This is the one jewellery designer getting the most buzz from the industry right now. Anissa Kermiche's Paniers Dores earrings have exploded over the past 12 months—you'll spot as many of these drop gold and silver earrings as Gucci loafers at fashion week. Unsurprisingly, Anissa Kermiche is becoming more than just an industry name and has been stocked by the likes of Net-a-Porter.com and Style.com. 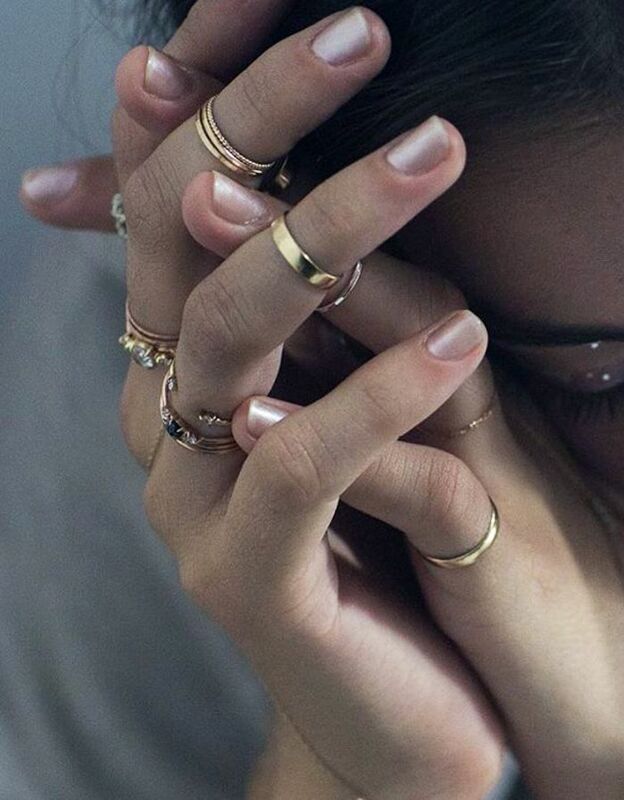 Stockholm-based unisex jewellery brand All Blues is another Emma Watson find. If you want a new pair of hoops that are a little out of the ordinary, then don't miss the Ellipse collection. Aurum & Grey only launched last spring, but its initial stud earrings have already been spotted on Kendall Jenner, Bella Hadid and Kylie Jenner. As well as initial miniature earrings, also head here for playful pineapple, palm tree, banana and watermelon studs and necklaces. Dea Jewellery is a new British label founded by Kareena Assomull, who is of Indian origin and grew up in Nigeria. She says that her collections are all inspired by authentic African tribal art, traditional Indian jewellery, and '90s chokers and chains. Everything is made using 18k gold, but the price points won't make you wince, as you'll find many earrings and rings for under £130.